IT is hard work reaching paradise and there are more than a few potholes to negotiate along the way, but deep within an oak and pine forest in the province of Guadalajara lies the enclave of Fraguas, where a group of idealistic young men and women have breathed new life into a hamlet that was expropriated in 1968 by Franco’s dictatorship and reduced to rubble during military exercises in the 1980s. It is ‘the good life’ transported to one of the most severely depopulated areas of Spain in the region of Castilla La Mancha. 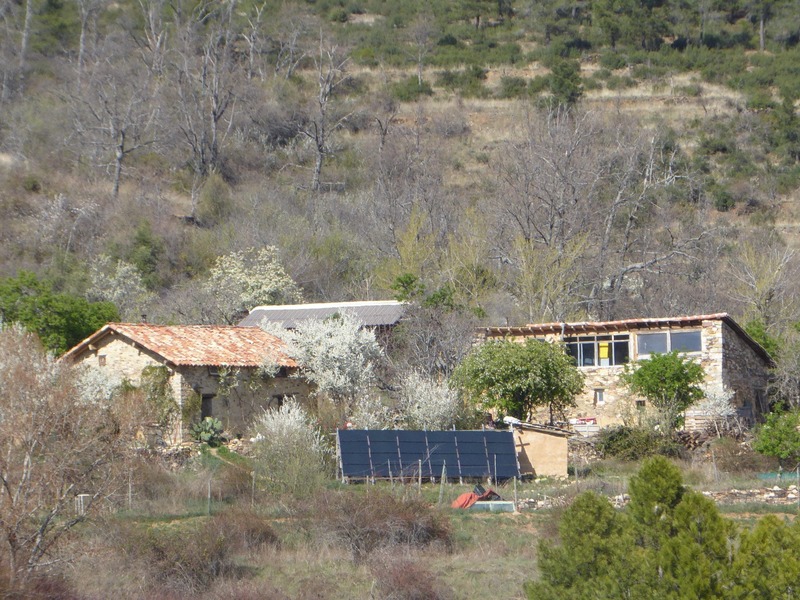 And on a sunny Sunday in March, chatting over platefuls of beans, pizza and cold home-made beer, I could almost see myself there tilling the land and taking showers warmed by solar panels in the outhouse. “There are lot of initiatives all over Spain like this one,” says Jorge, an environmental science graduate who moved into a room above the workshop just over a year ago, after working on agricultural programs in Nepal. In fact, it was a ‘tour’ of similar collectives that brought him to Fraguas, which he considers a place of self-discovery and learning. Known as’ the Ground Zero of rural depopulation’, Guadalajara province covers 4,200 km2 but has only 8,900 inhabitants, the equivalent of 2.1 people to every km2. But it is not alone. Much of Spain’s interior fanning north from Madrid is seeing its inhabitants board up their homes to seek work and company in the cities or along the coast, a trend that began with the much-documented Rural Exodus of the 1960s. 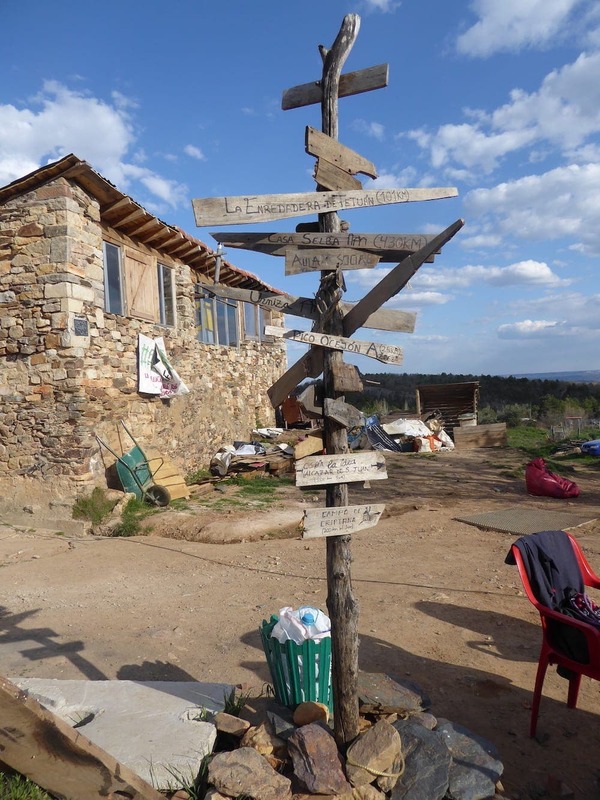 Burgos and Soria now have 162 and 116 villages respectively with less than 100 inhabitants – a third of what there were during the 1990s – while Teruel and Valladolid have some 90 villages between them hanging on by a thread. According to the government’s Commission for Demographic Challenge, 53% of the country is at serious risk of depopulation. And last month a huge protest brought hundreds of thousands of rural dwellers onto the streets of Madrid to highlight the issue, a big contingent from Fragua. Back in 2013 when the first six settlers arrived in Fragua, expertise was needed and there was plenty of it to go around. All were graduates, some of architecture and engineering. And any gaps in their know-how were plugged by friends who could easily be persuaded to make the two-hour trip from Madrid to collaborate in the resurrection of a village that once consisted of 23 homes, 80 inhabitants and a town hall that doubled as a jail! It is these pioneers, known as ‘the Fragua Six’, who are now just months away from being put behind bars themselves. 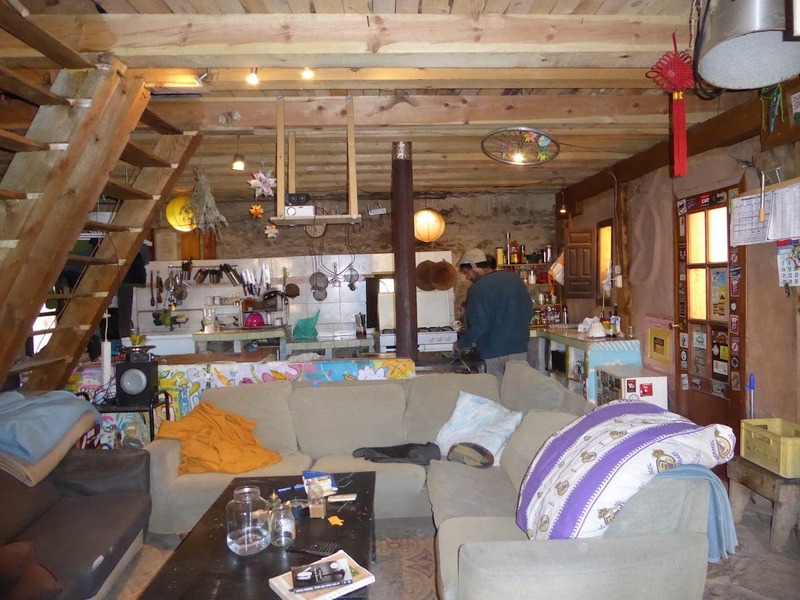 Last May they were sentenced to a year-and-a-half of jail time on top of a €2,700 fine to pay for the demolition of the handful of houses they have so beautifully restored. It is a strange twist to a tale of innocence and renewal that may not solve Spain’s rural depopulation problem but could arguably go some way to easing its severity. 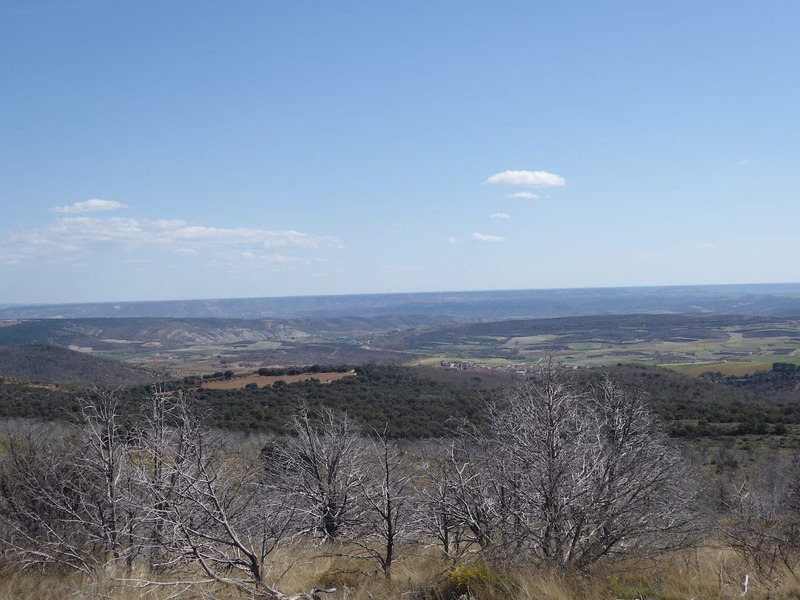 However, as Fraguas lies within the protected boundaries of the Natural Park of the Sierra Norte de Guadalajara, designated in 2011, the regional government is proving intransigent despite fierce local support for the collective. 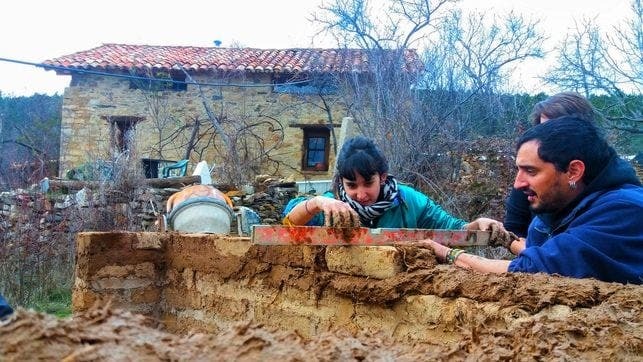 Some 10 km from Fraguas, two other villages are teetering on the brink of extinction: Arbancon has 157 inhabitants; its neighbour, Monasterio, has just 11. It would seem that, in the balance, any sign of life is to be treasured. 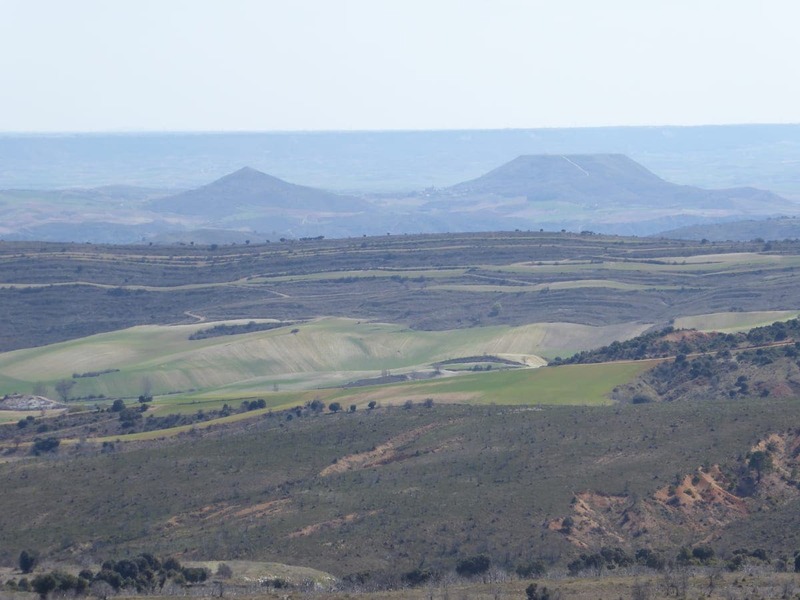 Diego Sanz, spokesman for La Otra Guadalajara, the provincial platform lobbying the government to address the issue of dwindling numbers, tells me: “Initiatives like Fraguas could have a place in rural Spain, but it’s a bit of a one-off. Really politicians should be coming up with policies. “There aren’t many of us and we don’t carry much electoral weight but concentrating everyone in the big cities leads to environmental problems such as urban pollution and rural degradation. “We want to see tax incentives for small businesses – currently, a small shop owner here in Alsustante, a village of just 90 inhabitants, has to pay the same tax as if he had set up in the Puerta del Sol,” he adds. On the last day of March, La Otra Guadalajara was joined by 15 other platforms from across rural Spain – including Soria Ya! and Teruel Existe! – in a demonstration in the capital to highlight the problem and urge politicians to put it on their agenda. 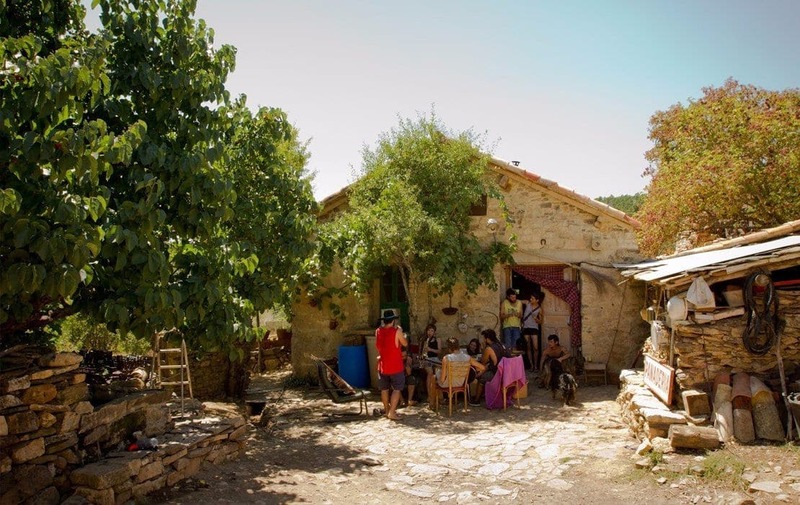 José Luis has featured in newspapers around the world for his tireless efforts to keep the village he grew up in on the map, turning it into a symbol of Spain’s rural depopulation crisis. During his childhood, Olmeda de la Cuesta had 300 inhabitants. In 2014, it was being hailed as Spain’s ‘oldest’ village as among the remaining 35 inhabitants the average age was 75. Now, he tells me, some of those have departed not for the city but to ‘the other side’ and the official population has shrunk to 28. However, a scheme to sell off 250 m2 plots for the bargain price of €1,300 four years back means that six additional households now swell the figures on weekends and holidays. “There is an increasing tendency for initiatives like Fraguas,” says José Luis, who has a myriad of strategies aimed at turning the tide. “I’m trying to get that kind of thing off the ground here, speaking to the owners of houses that have fallen into disrepair to see if they can be persuaded to allow volunteers to rebuild them in exchange for free rent for a period of, say, 20 years. 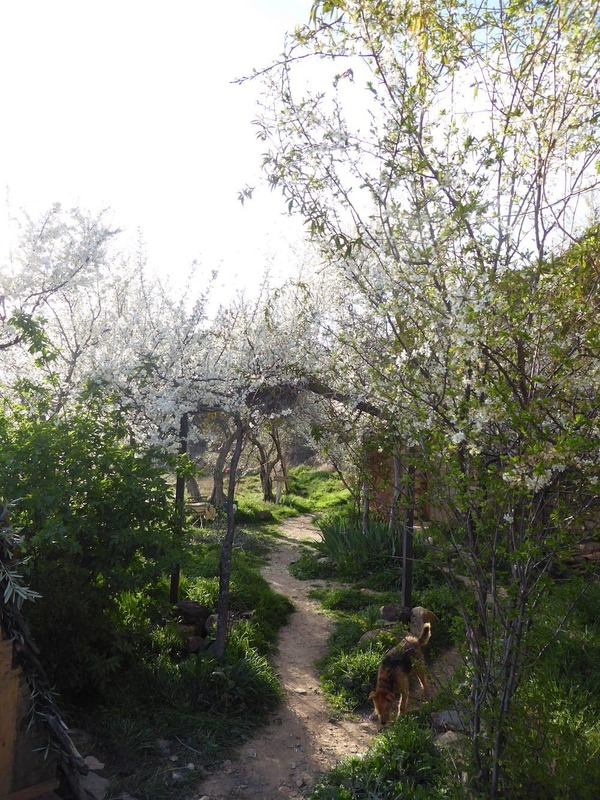 “If people want to start a market garden and try self-reliant living, there is plenty of land,” he adds, explaining that only last week a group of artists from Madrid approached him over such a possibility. Nor is he ruling out the villages’ potential as a tourist attraction; a series of stone and iron sculptures as well as a Guernica Tree symbolising peace have meant the village now gets its share of visitors. But the scale of these initiatives in no way matches the size of the problem. “The government needs to see this is as seriously as what is happening in Catalunya,” he says. “They do a lot of talking but they must put the money where their mouths are. The central government should allow the council to have more of a free reign when it comes to abandoned properties. And he is not the only one trying to persuade owners of abandoned or ruined houses to part with their property. 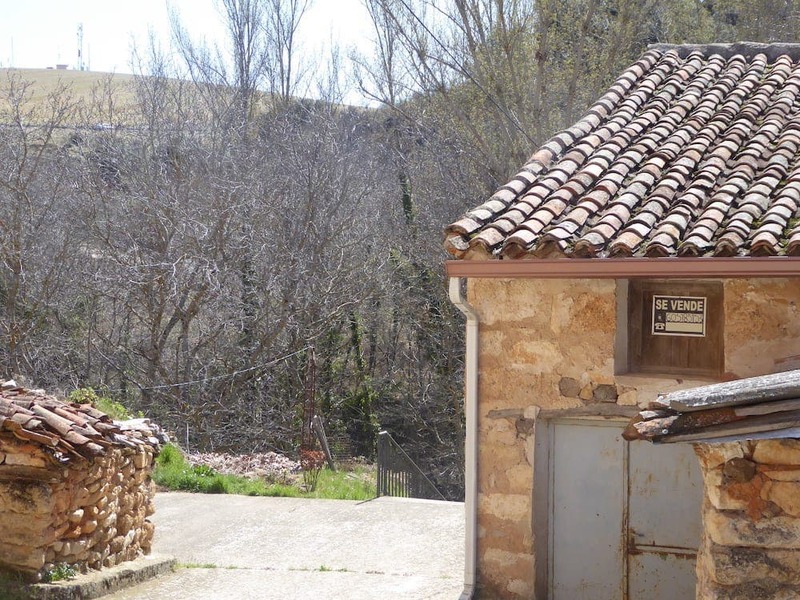 Two estate agents, Aldeas Abandonadas and Galician Country Homes, are making good business out of sorting through the paperwork so that small, uninhabited hamlets can find new owners. “Now with Internet and globalisation, it’s feasible to get back to our roots,” says Rosi Adkinson, whose British husband Mark set up Galician Country Homes 15 years ago. “Mark and I live in one of Galicia’s smallest villages and we deal with people in over 150 countries around the world,” she says. Rosi has watched the business boom over the last three years and says 90% of her clients are British. “But we also have people from Canada and there’s even a businessman from Afghanistan. The people we sell to want to integrate and respect the environment. Prices range from €60,000 to over a €1 million, depending on the state of the hamlet in question and its location and viability for business.But whatever the starting price, Rosi explains, it will probably cost over €1 million by the time the buyer is finished the renovation work, though EU grants may cover 45% of the cost. It is obviously a more commercial scheme than those being proposed by José Luis. But the mayor of Olmeda de la Cuesta is far from against it.